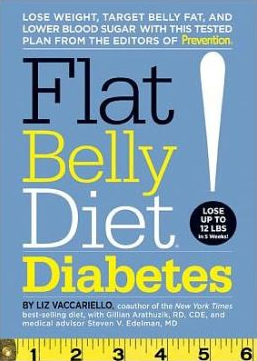 Like the instant bestseller Flat Belly Diet!, this new diabetes-focused plan applies the latest research proving that monounsaturated fatty acids (or MUFAs) may target stubborn belly fat—and targeting that belly fat helps treat the underlying cause of type 2 diabetes: insulin resistance. The 5-week program includes a sensible diabetes-friendly diet with no forbidden foods and a delicious “MUFA at every meal,” an easy and flexible fitness routine, and simple stress reduction exercises. The book also features 160 satisfying recipes, expert advice, and insights from real people with type 2 diabetes to help readers lose weight and reverse insulin resistance. Once upon a time, Max the billionaire invited David to his private island where whiz kid golden boys zip around the globe in private jets making millions and living the dream. But all may not be as golden as it seems ... Max wants happiness. David wants his girlfriend back. Marcie wants to avoid getting fired from her cashier job at Wal-Mart. And the Guru knows the answers, or does he? 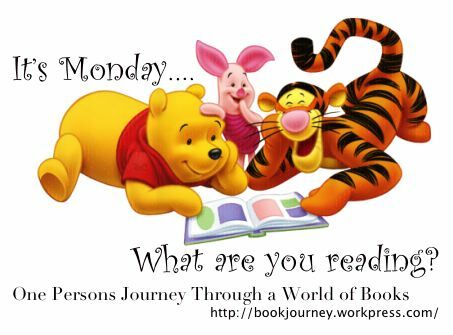 Follow them on a wild roller coaster ride through island paradises, out to space, over the Himalayas and across the Russian tundra to a final showdown in the Texas desert. 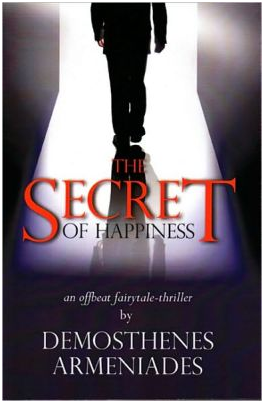 THE SECRET (of happiness) is a fast-paced offbeat thriller charged with suspense until the final word. 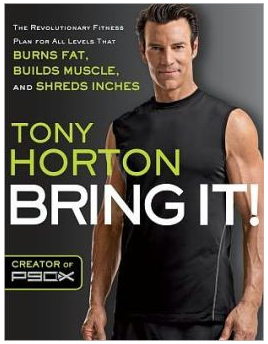 Tony shares the fitness philosophy that is the basis of his best-selling workouts. Tony custom designs fitness programs for his clients to help them reach their maximum potential and keep them focused and motivated for the rest of their lives. In BRING IT! 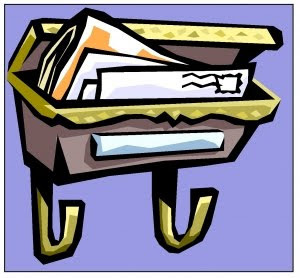 he offers readers the same benefit by showing them how to create a plan that takes into account their personal preferences, fitness levels, and goals. There are a couple of tests to determine your fitness level/needs. 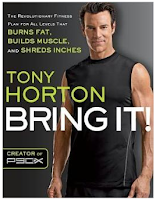 Tony's four pillars of fitness philosophy are explained. There is also a meal plan and recipes. For former private investigator Dana Miller, there can be no peace of mind until she finds the person who killed her husband. Now a single mother to three boys, Dana wants closure. But it turns out she'll need to form an alliance with the man she holds responsible for the death. And uncovering answers may mean bringing down the program her husband believed in. Rick Sanchez has no intention of letting Dana destroy all the good he and Ken Miller worked for. 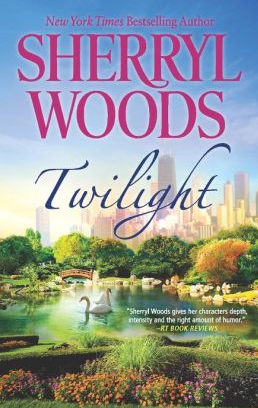 As he and Dana try to learn the truth about what happened, he discovers that he and his old friend have something else in common—an undeniable attraction toward this intrepid, high-spirited woman who fights for the people she loves. 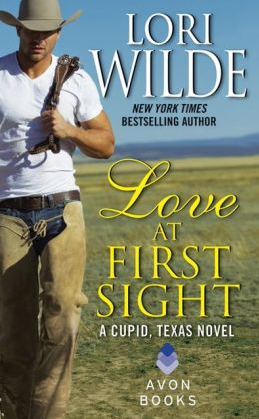 Introducing Cupid, Texas, the small town where the residents are more than likely to fall in love at first sight. Passion has been notably lacking in the life of sensible Natalie McCleary. But when ex–Navy SEAL Dade Vega roars into Cupid on his motorcycle, and she stumbles on him stark naked and soaking wet, she suddenly understands what it means to be struck by love. Dade feels it too. 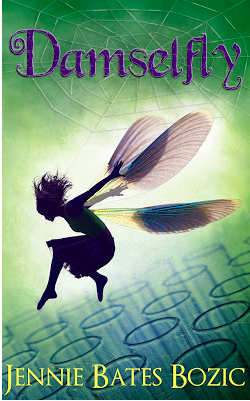 Will he stick around and give them both a happy ending or will this footloose loner move on and leave her heartbroken? Sixteen short stories. Sixteen artists. 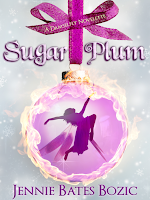 An amazing anthology spanning all genres and themes. 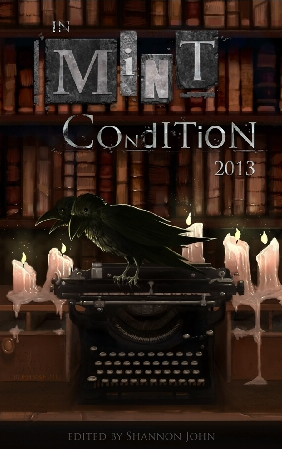 The sixteen short stories and poems were written exclusively by members of the largest Stephen King fan site on the internet, TheDarkTower.org, but please let it be known that the Stephen King connection stops there. This is not fan fiction, or a tribute to his work. 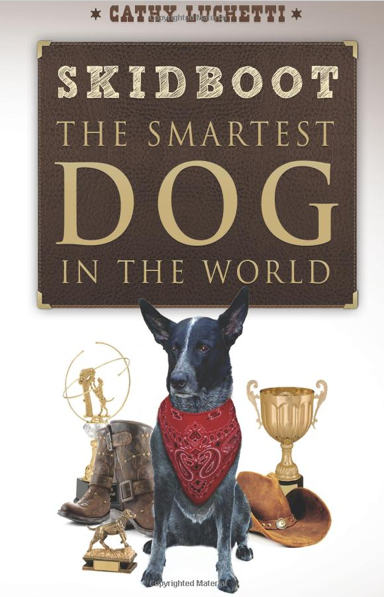 The gripping story of a Texas cattle dog who captures the minds and hearts of the world as he evolves from an unleashed dervish to the most highly responsive, intuitive dog on the rodeo and media circuit. From Oprah to Letterman to Leno, Skidboot parades his startling skills to fans worldwide. From his birth in a barn to riding herd over thousands of admiring fans, Skidboot learns from his cowboy owner, David Hartwig, how to encourage the sick, shock rodeo fans, surprise TV audiences and turn the financial tide. The story of Skidboot is an all-American telling—from underdog to top dog. A true canine Einstein, a new Lassie—written by acclaimed author Cathy Luchetti, this is a story for our times! 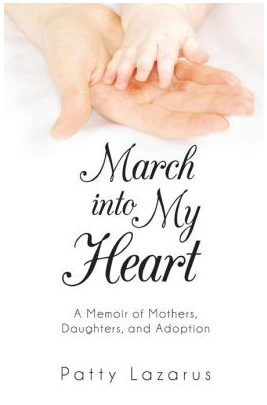 March into My Heart is a poignant and inspiring story of family, adoption, and the search for the irreplaceable bond between a mother and daughter. Patty Lazarus was happily married and busy raising two sons. By all accounts she was a very lucky woman. But still, something was missing. Despite her love for her family, she felt a deep longing for the mother-daughter connection she’d always dreamed of. After enduring her mother’s tragic illness and untimely death, Patty knew that adding a girl to the family was the only way to ease the pain she felt. She and her husband set out on a four-year, arduous, complicated, and emotional journey through infertility, miscarriages, and adoption ending in a small town in rural Missouri where they would finally meet their new daughter as she came into the world. 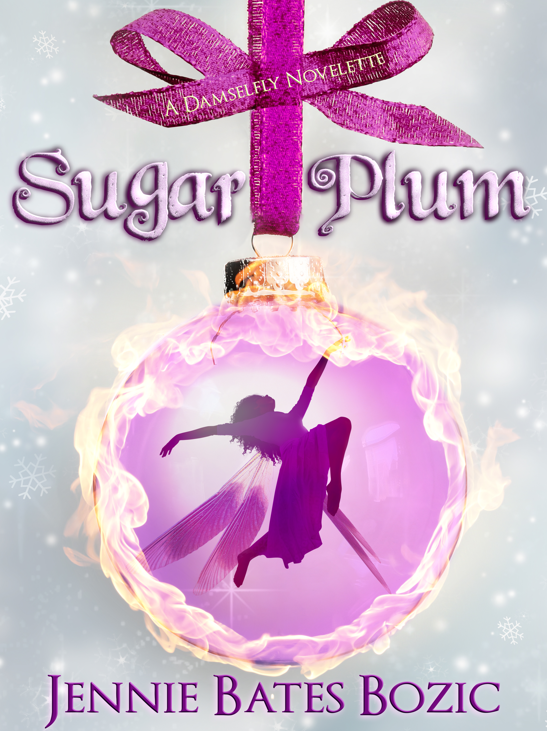 At six inches tall with gorgeous purple wings, seventeen-year-old Sugar is the spitting image of a fairy - and that makes her the perfect spy. It’s the year 2081 and the USA hasn’t been united for five years. Now it’s divided into three bitterly feuding sections - the West, the East, and the Mids, and thousands of families have been separated by the conflict. In order to figure out how spies are crossing from the right coast, the West is targeting caravans of families crossing the Mids illegally. Trouble is, the crossers are hard to track, and that’s where Sugar comes in. Every week, she and hundreds of others like her are packaged as Christmas tree ornaments and “donated” to poor children. If they’re lucky, they’ll end up with a crosser kid and dig up valuable information about the clandestine caravans while their wings serve as a tracking device. If not, they fly back to the Candy Factory for reassignment. Wash, Rinse, Repeat until they’ve served enough missions to earn their freedom. whew . . . I'm going to be a busy girl!